While metal finishes in interior design call to mind images of industrial spaces, they are more versatile than they appear. Metal finishes can give a space an unexpected glamour through their light-reflective qualities and sleek appearance. Furthermore, when metal meets creativity, the results can be spectacular. 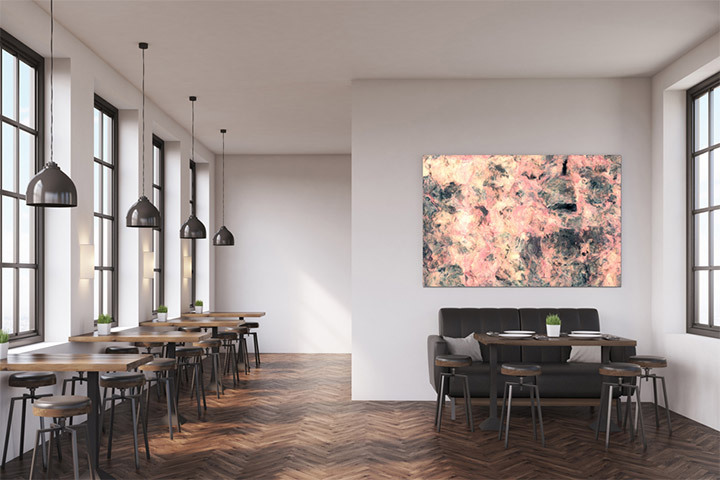 The North Carolina-based company Specified Metals takes a new approach to metal by creating new products such as textured or etched metal sheets, and its Digital Infusion finishes. The company turns metal into artwork and shows how this material can take a central role in decorating a space. 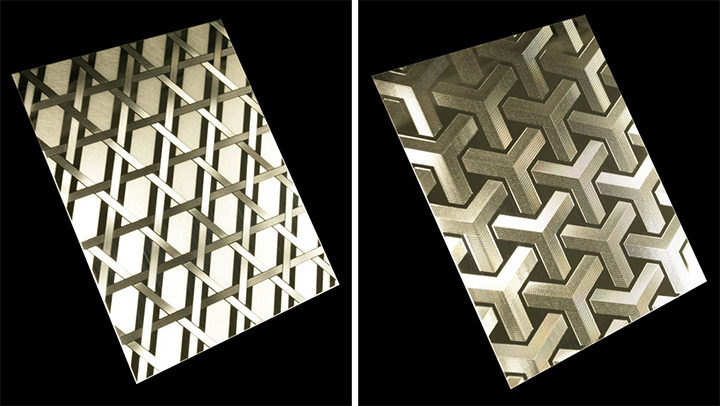 As one of their products, the Specified Metals phenolic-backed textured aluminum sheets come in a variety of designs, from nature-inspired to geometric patterns. When part of an interior design, they go a long way in creating a sense of fluid motion, modern precision, or just some visual drama through plays of light and shadows. 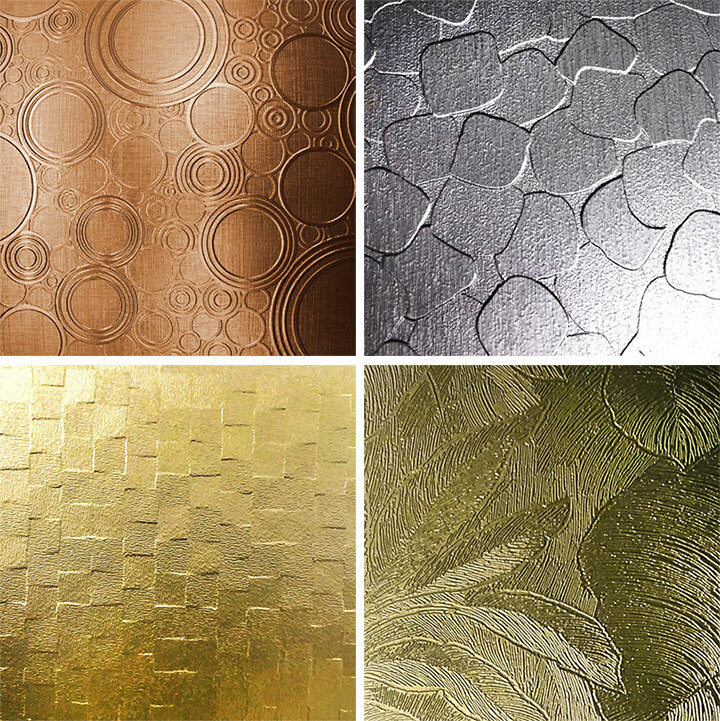 The copper, silver, gold and bronze options allow for an even more nuanced way of customizing a space. The company generously offers some hints for the creative use of its metal sheets. These are not only fade, moisture, stain and scratch-resistant wall finishes, but also easy-to-use raw materials for customizing furniture. A different technique used by the company results in equally appealing metal finishes. The company’s etched stainless steel sheets create the illusion of a 3-D design that adds depth to an interior space. 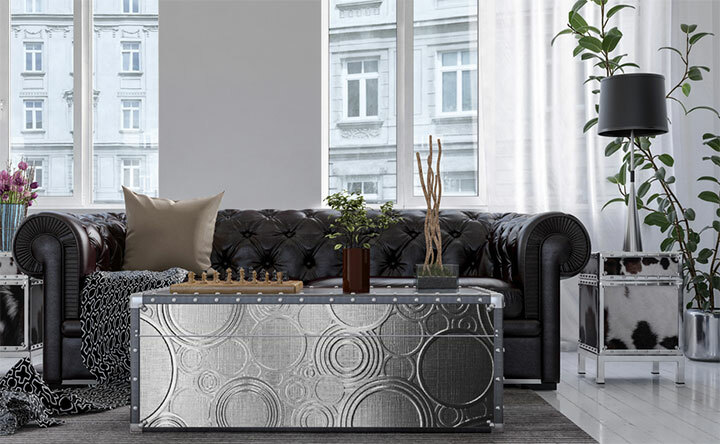 The Specified Metals products are not relegated into the background or to furnishing pieces, but they pass into the realm of decorative accessories. 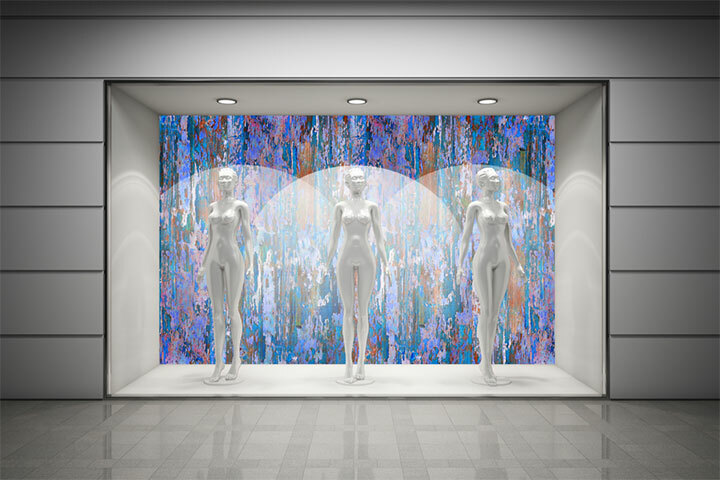 Through a process called Digital Infusion, patterns and colors are printed onto specially coated aluminum sheets. The result is a finish that enhances the quality of color through the texture and luminosity of metal, for a one-of-a-kind effect. Digital Infusion products are highly customizable and suitable for both indoor and outdoor use. 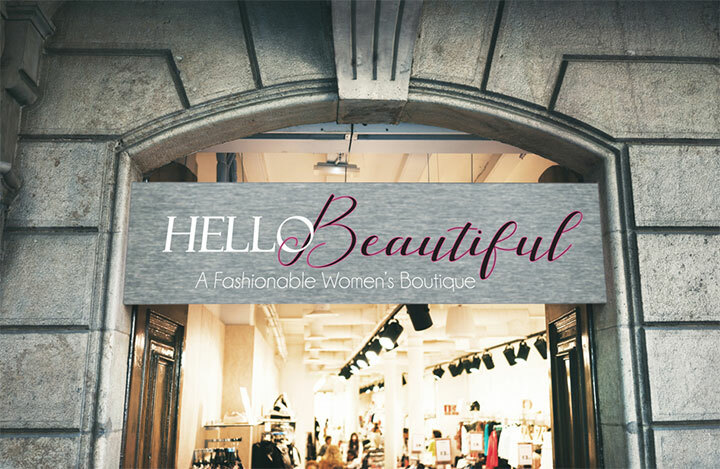 The applications are endless, from wall panels, wall decor and black splashes to furniture treatments and retail signage. The company offers over 130 patterns and designs for printed metal sheets. 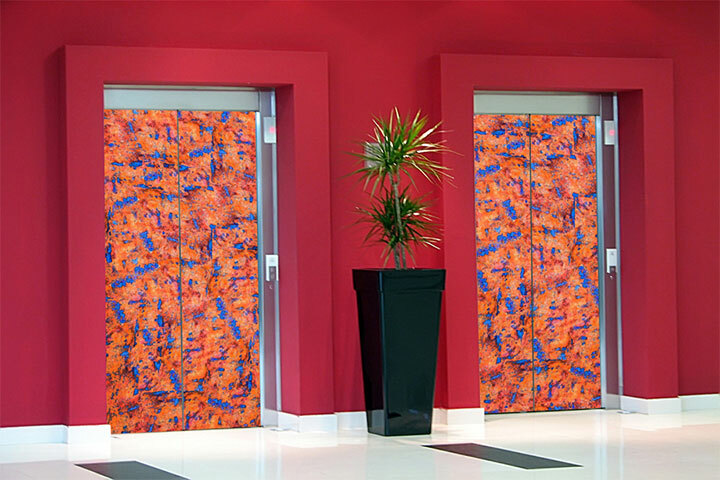 However, the process is open to using logos, photographs or any kind of patterns that customers want printed on metal. Please take a look at our Before and After images of selected projects from 2017 HERE. If you are thinking to open up a new business or in a process of rebranding and remodeling your existing business, contact us to get a free consultation from Mindful Design Consulting. 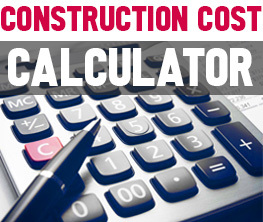 Click HERE to price your project design. Also, take a look at “Branding By Interior” e-book, the only book written on this subject at this time. It brings insight on how you can turn your business into a market-dominating competitor by using human cognitive responses.